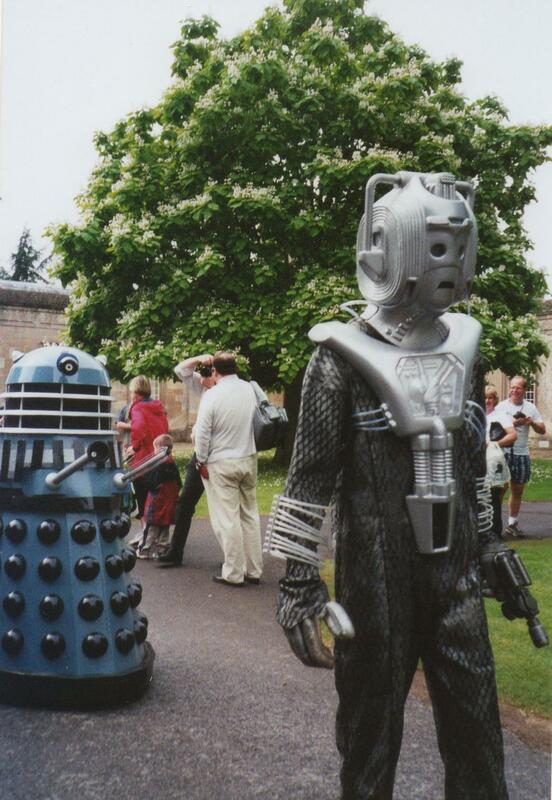 I had been working on the estate as a Cyberman as usual or the Gallifrean, and enjoying the DR WHO day from inside the costumes and as there were hardly any senior staff about, I spent a lot of my rather elongated breaks enjoying the attractions of the DR WHO DAY and hiding in the estate office! 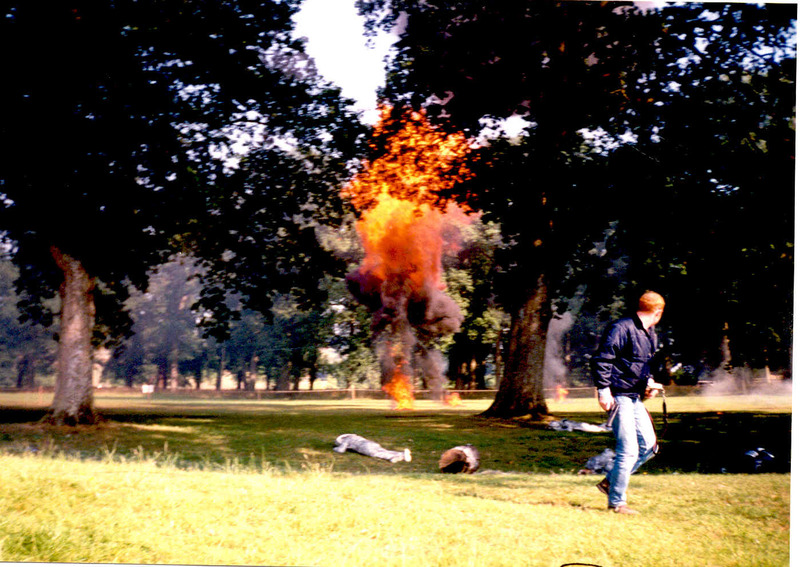 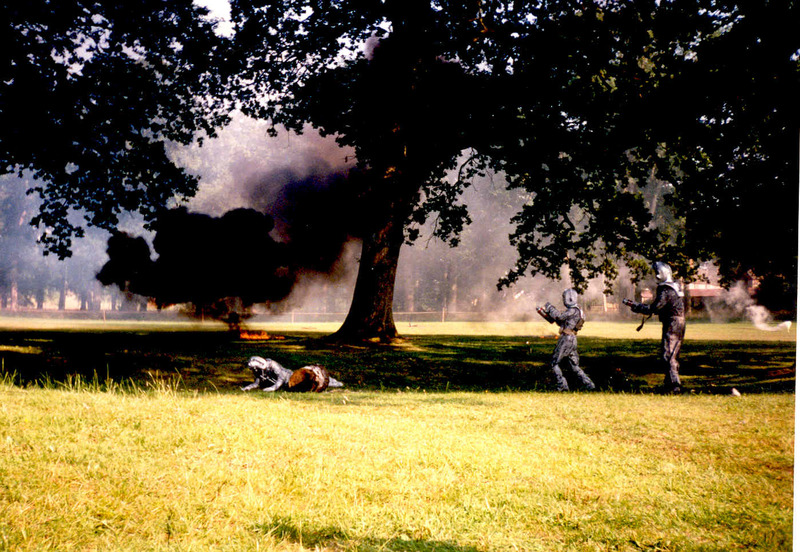 I took a jeap around to see the Cyberman performance 'A quiet day in The Country' staring Nicholas Courtney and David Rodan, and as you can see, I lay in the sun and saw a bit of the show - which was ending as soon as I sat down LOL! 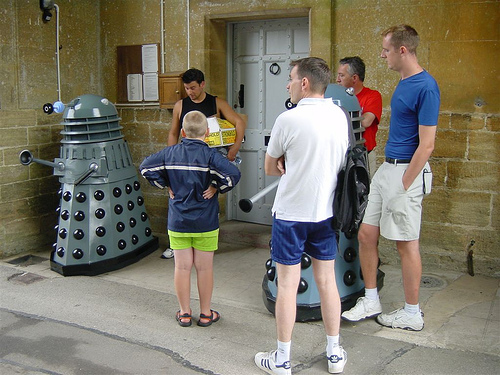 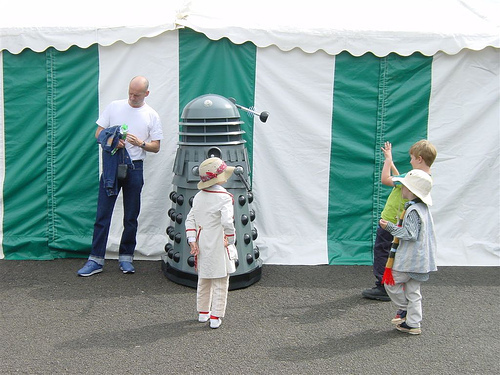 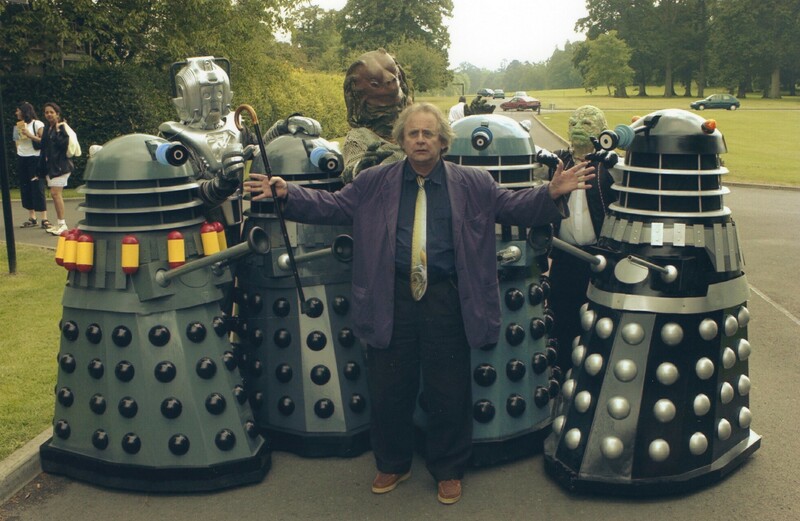 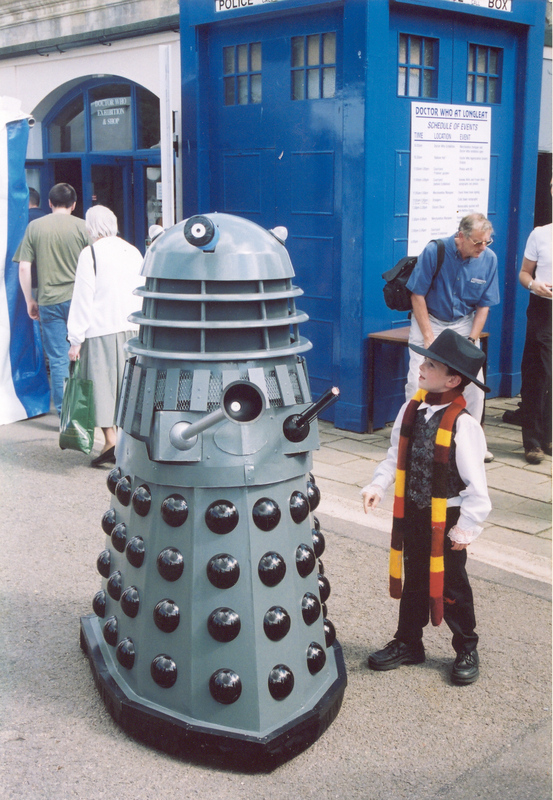 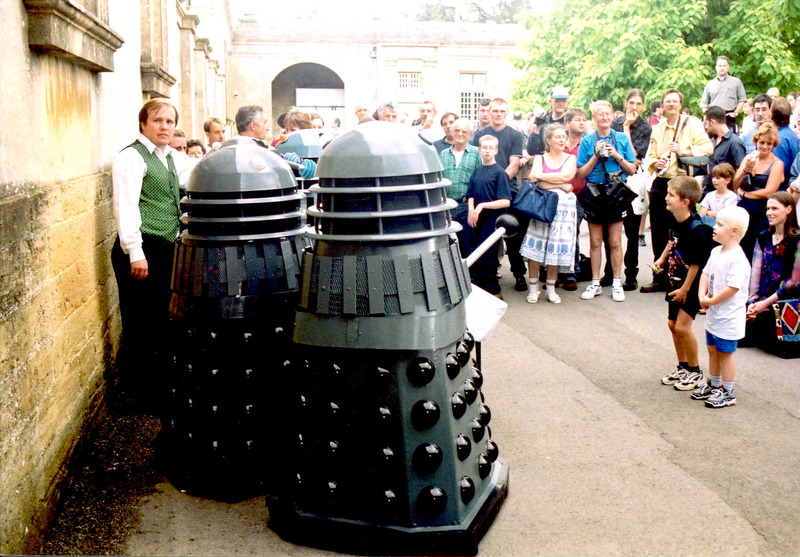 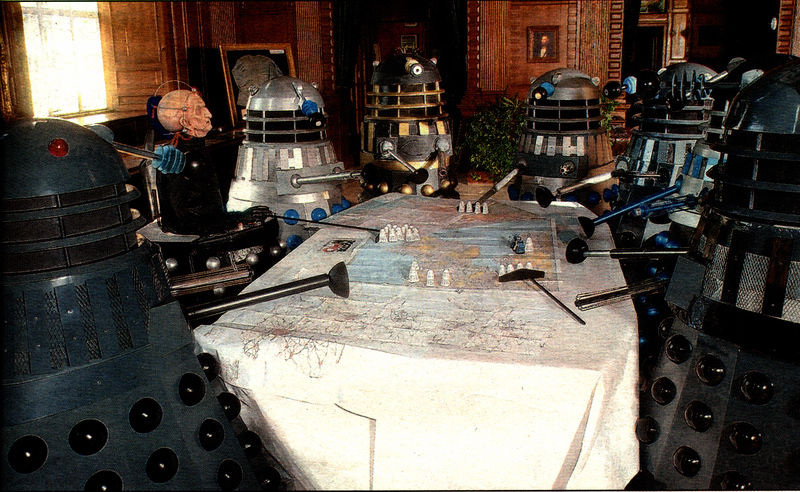 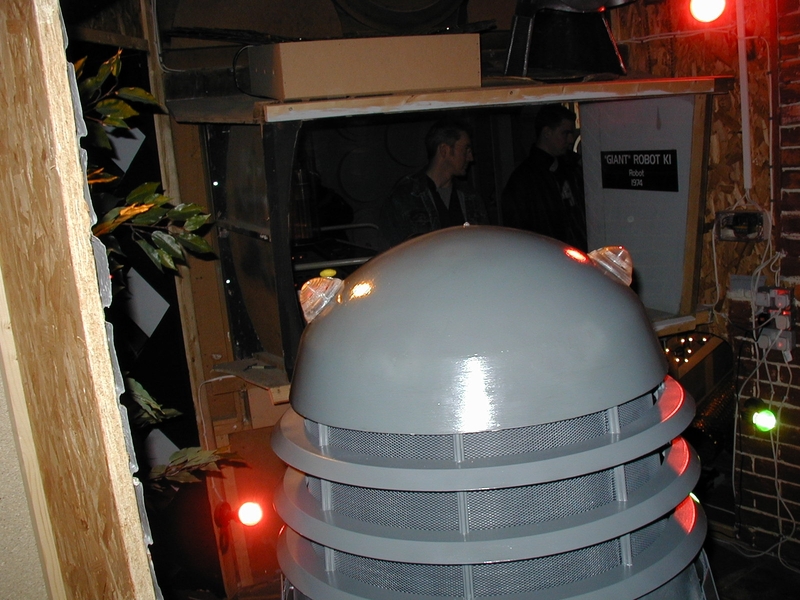 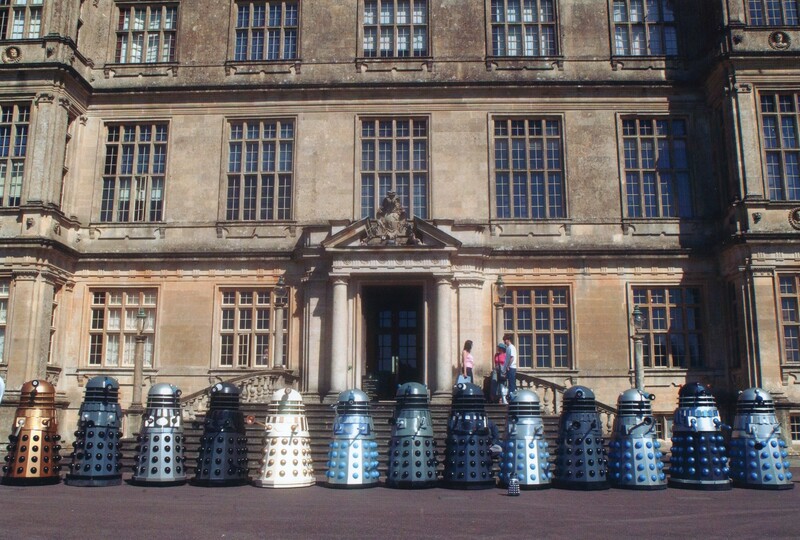 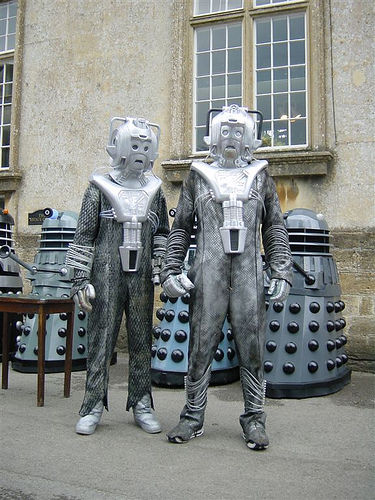 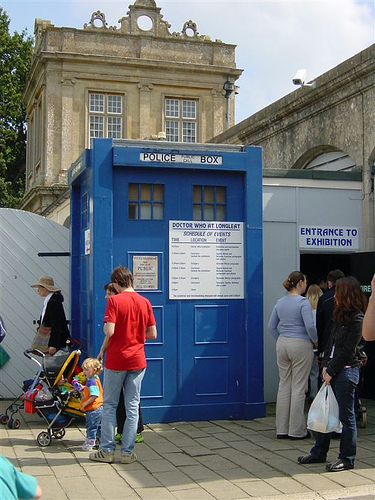 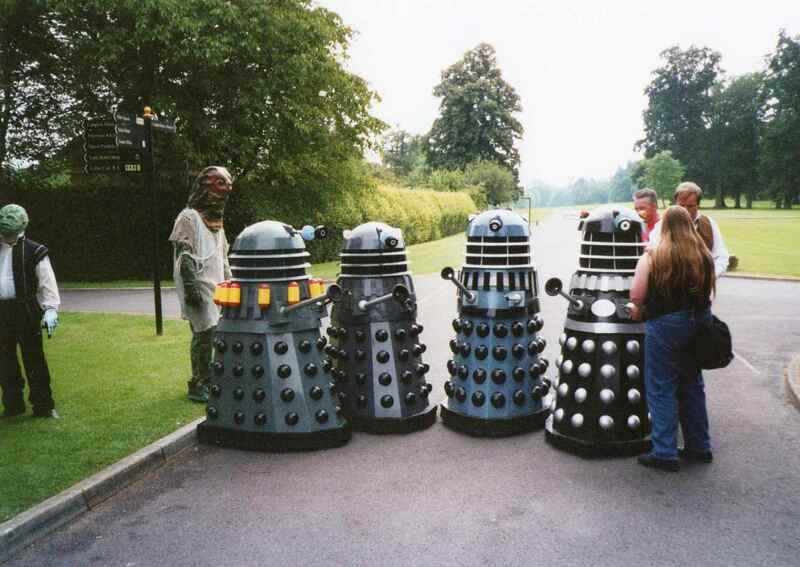 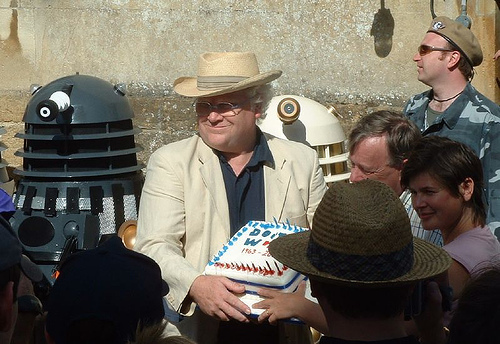 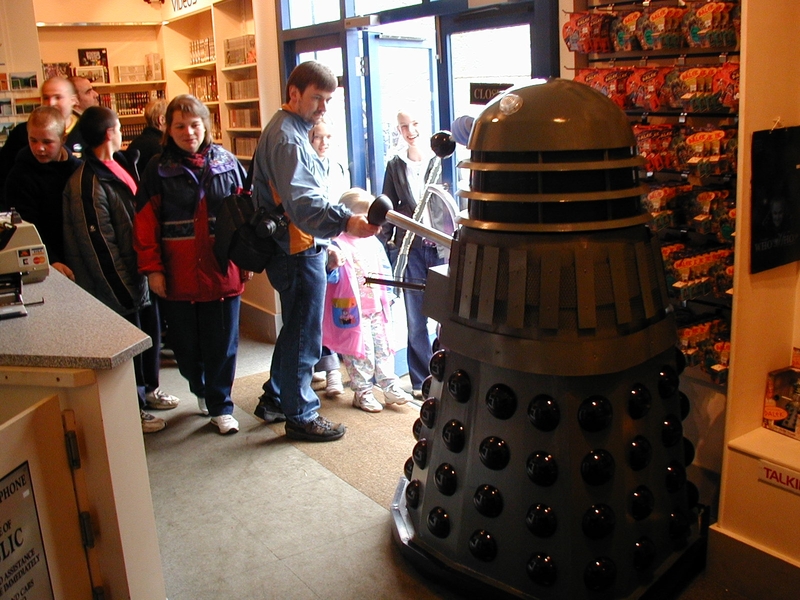 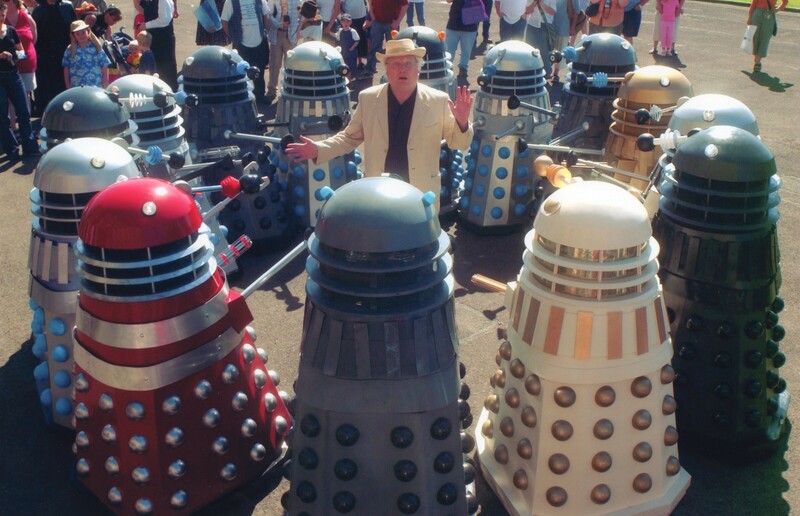 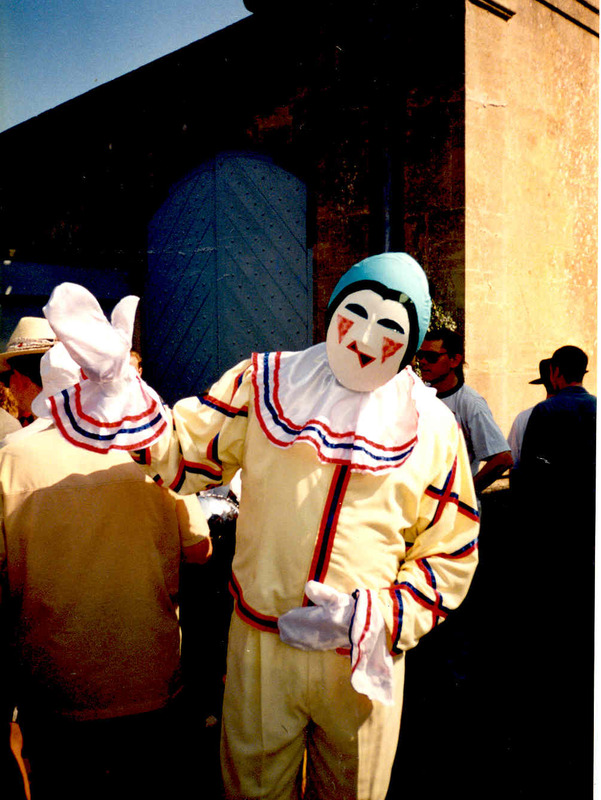 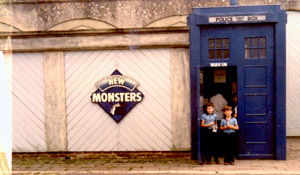 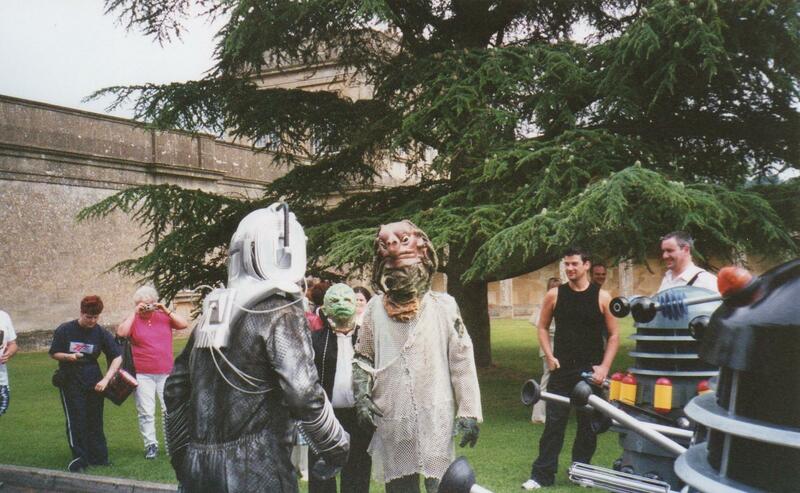 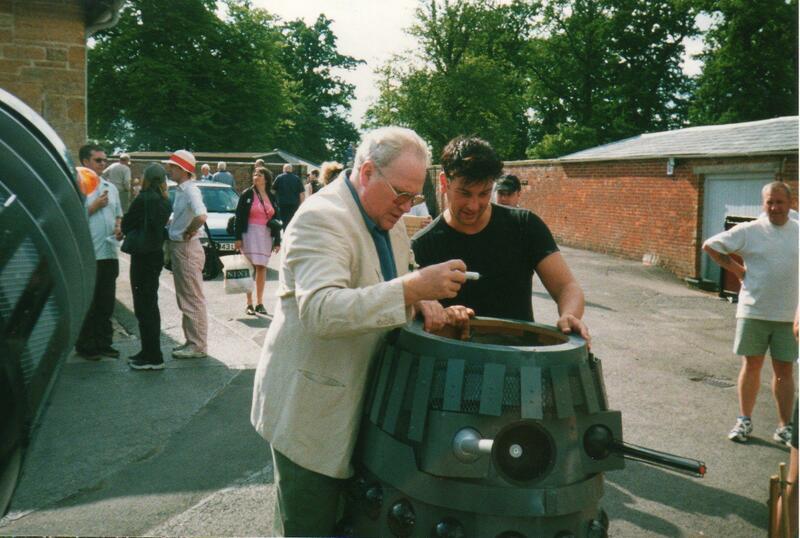 I didn't work at Longleat after that season until 2001 DR WHO DAY, but more of that later. 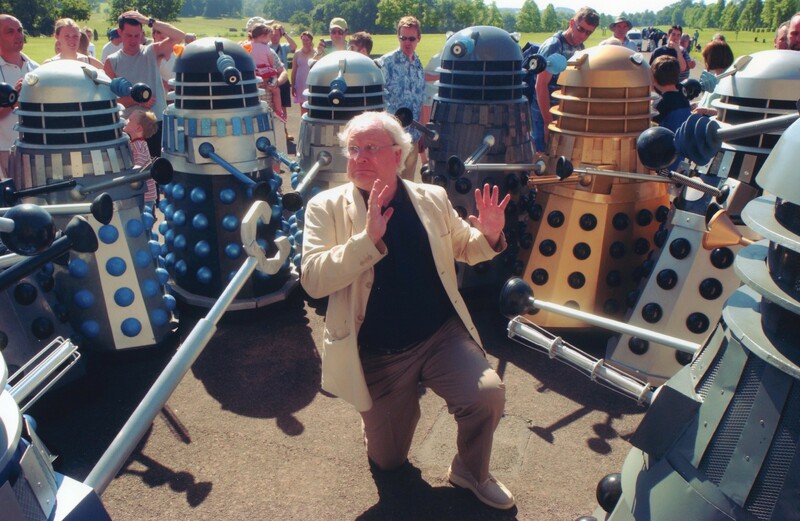 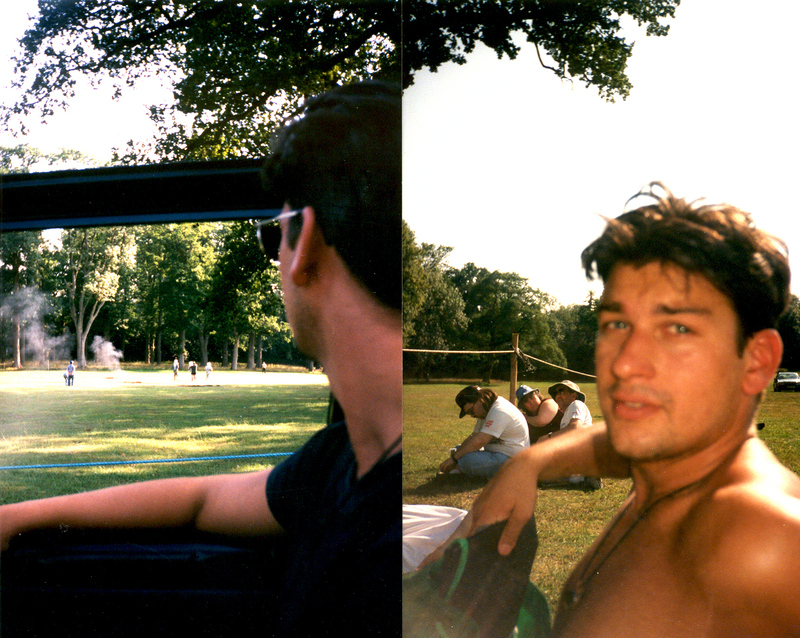 Tim Harris's Longleat pages! 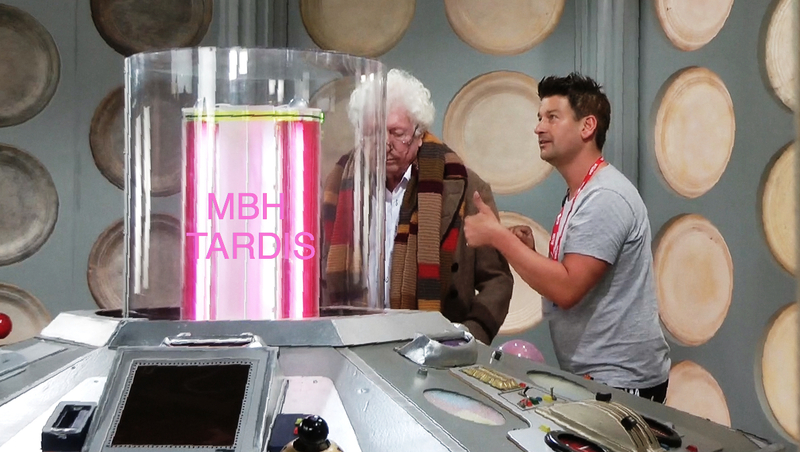 A MUST SEE if you enjoyed THIS!